Born: 14 September 1873, Bristol, United Kingdom. Died: 5 October 1926, Patna, India. John Alexander Strachey Bucknill, son of Justice Thomas Bucknill, was educated at the well-known school at Charterhouse, London, where he became science exhibitioner in 1891. He then went to Keble College, Oxford, where he obtained honours in chemistry and was awarded the degrees Bachelor of Arts (BA, 1894) and Master of Arts (MA, 1897). Meanwhile he became a barrister-at-law in 1896, confining his legal work mainly to patent and trademark cases. His experience in this field led to his appointment in 1902, just after the Anglo-Boer War (1899-1902), as commissioner of patents, registrar of trade marks, and registrar of companies in the Transvaal Colony, with his office in Pretoria. At the same time he became an advocate of the supreme court and a justice of the peace. He became a member of the Legislative Council of the Transvaal in 1904, and in 1907 was legal adviser to the attorney-general. During 1902-1906 he was a member of the committee of management of the Transvaal Museum (now the Ditsong National Museum of Natural History). In August 1905 Bucknill read a paper on "The rise and growth of the protection of industrial property in the Transvaal" before the joint meeting of the British and South African Associations for the Advancement of Science, though he was not a member of either. The paper dealt with the history of legislation relating to personal property in the former South African Republic and the Transvaal Colony. In April 1906 he was appointed chairman (replacing H.O. Buckle) of a committee investigating the various government laboratories in the Transvaal. The committee reported in September 1906. Its main recommendation was that a new Government Veterinary Bacteriological Laboratory should be built on a suitable site, and Onderstepoort was later chosen for this purpose. Bucknill's hobbies were ornithology, shooting and fishing. He was a Fellow of the Zoological Society of London, a member of the British Ornithologists' Union and of the (British) Society of Chemical Industry. His life-long interest in birds found expression in an early work on The birds of Surrey (1900). In April 1904 he served on a committee to frame rules for the South African Ornithologists' Union, which was founded that year, and subsequently was joint editor of its journal for three years. He was president of the Union for 1906/7. In the latter year he was elected an honorary member of the Union, on leaving South Africa to become King's advocate (attorney-general) of Cyprus. In 1906 he and G.Henrik Gronvold* published "Remarks upon some hitherto undescribed or unfigured eggs of certain South African passerine birds", including their field notes, in the Journal of the South African Ornithologists' Union (Vol. 2(1), pp. 1-10), with additional descriptions in 1910 (Vol. 6(2), pp. 27-33). Bucknill also published "A description of some portion of the oological collection of South African birds' eggs in the Transvaal Museum, Pretoria" in the same journal (1908, Vol. 4(2), pp. 69-102). In 1904 he became a member of the Chemical, Metallurgical and Mining Society of South Africa. He was a Freemason, and one of the founders of the United Service Lodge of Pretoria. He married Alice Mary Richards in 1901 and by 1905 had two daughters. Bucknill remained in Cyprus to 1912, publishing The ornithology of Cyprus in 1910. His subsequent career included positions as attorney-general of Hong Kong (1912-1914), chief justice of the Straits Settlements (1914-1920), and then puisne judge of the Patna High Court, India. With F.S. Chasen as co-author he published The birds of Singapore Island (1927) and as sole author, The coins of the Dutch East Indies (1931). He was knighted in 1916. In 1920 he was still an honorary member of the South African Biological Society, into which the South African Ornithologists' Union had been incorporated four years earlier. Ashton, E.H. Southern African Ornithological Society. Bokmakierie, 1980, Vol. 32 (whole no. 2), pp. 26-76. British Association for the Advancement of Science. Report of the seventy-fifth meeting... South Africa, 1905, pp. 480-482. National Archives, Pretoria (TAB), Source MHG, Vol. 0, Ref. 63117, death notice, last will and testament, John Alexander Strachey Bucknill. 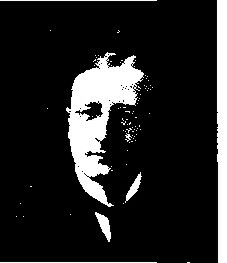 National Automated Archival Information Retrieval System (NAAIRS).http://www.national.archives.gov.za/naairs.htm Documents relating to John Alexander Strachey Bucknill / J.A.S. Bucknill. South African Journal of Natural History, 1920, Vol. 2(2), pp. 293-301, list of members of the South African Biological Society.